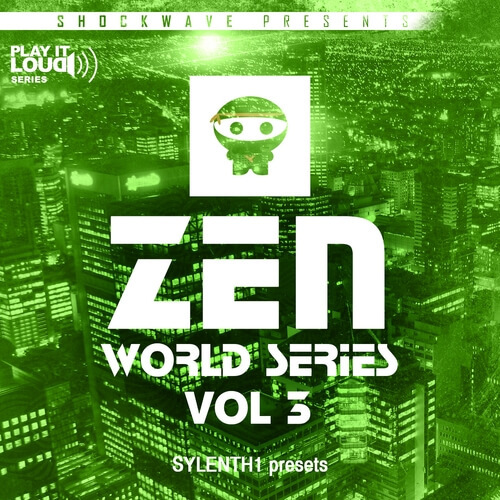 ‘Play It Loud: Zen World Series Vol 3 For Sylenth1’ is a new outstanding soundbank created by Shockwave’s supertalent, Zen World. This collection of 86 Sylenth1 presets features a lot of sounds used in the most popular EDM, Big Room, Trance, House and Dance tracks that are already released and played at the biggest festivals all over the world. Zen World is a super-skilled producer specialising in sound synths but also known for his ‘magic-revealing’ tutorials where he shows you how to make every sound from almost every track you could want. If you love the music and sounds from Hardwell, Armin Van Buuren, Tiesto, Martin Garrix, Avicii, Calvin Harris or any other top artists at the moment, this pack is the newest must-have in your soundbank collection! Sylenth1 is required to use these sounds.